Гуглил одно, нашёл забавный ролик в духе Hellraiser-lite. Slightly homo, you've been warned. Halls of the Enlightened / Pretty screenshots! The topic smile looks somewhat oligophrenic, oh well... screenies! The Secret World - Everything concerning The Secret World and Kult (Schism). Herald of Schism - News and announcements made by Priors and Messiahs. Only The Hierarchy can start topics, while everyone is welcome to comment the news. Halls of the Enlightened - Everyone can start new topics here: ask questions, discuss issues or just talk. While you can also find useful information here in the sticky topics. Gnosis - Place for official documentation of Kult. You are very inspired to read all that information to get better understanding about the bureaucracy behind Kult. Only Messiahs can write there. The Path - Everything concerning RP. Everyone can suggest ideas, events, discussions, post character backgrounds, etc. Just keep role-playing! General Borad - Place you can explore while free time to understand better about Schism or even post something you think is interesting for fellow Kultists. Contains a lot of interesting pictures. Want to see yours statistics or your fellow Kultist's? Go to the page of our Kult. Want to communicate with the server community? Here is the link to official forums. Got stuck with a mission in the game? Watch the missions guide (Solomon islands only). Game mechanic is not clear? Read about stats mechanic. Don't know what second weapon to pick? 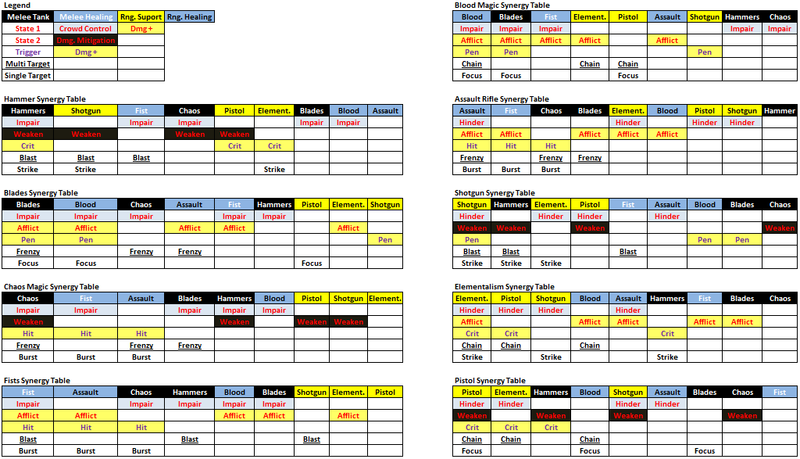 Look the weapon synergy table. Want to know tactics of killing bosses in dungeons? Look the dungeons guide. Want to perform emotions easily? Look how to install emotions script. Want to understand how do chat commands work and optimize your playing? See chat commands guide. Want to make your own in-game script? You'll need to read script making guide. Brother, Sister - a common way to address a fellow initiate of any rank.